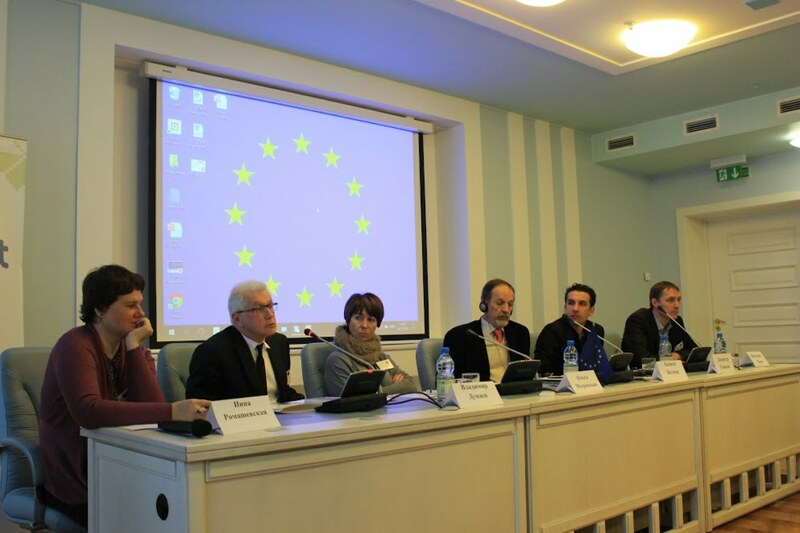 The Magna Charta Observatory was invited by the independent Belarusian research center SYMPA to deliver a keynote speech on university autonomy and research integrity in the frame of a policy briefing dedicated to scientific cooperation between the EU and Eastern Partnership countries. Former Vice-President of the Magna Charta Observatory, Prof. Aleksa Bjelis, participated. 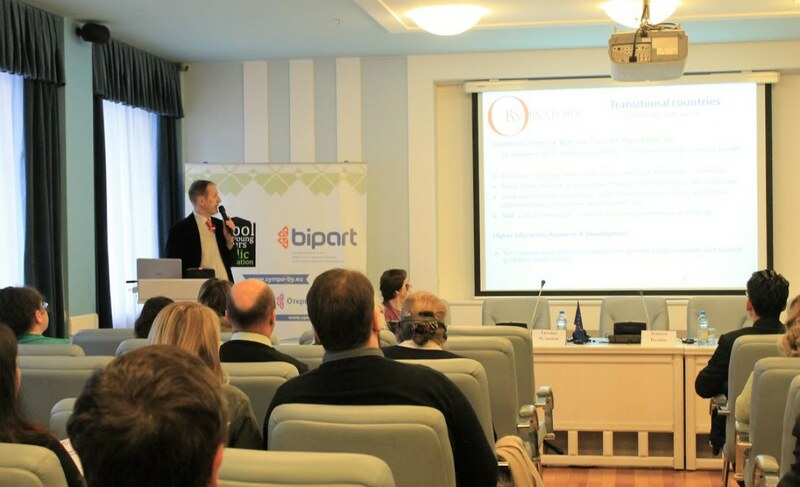 Policy Briefing Belarus and scientific cooperation with the EU has been organized by the Belarus members of the consortium of the project EU-STRAT (http://eu-strat.eu) supported by the Horizon 2020 Programme. The project is mainly oriented towards studies of the relationship between the European Union and the countries in the European Eastern neighbourhood. The organizers asked Magna Charta Observatory to contribute to the programme by covering the topic of principles of Magna Charta Universitatum relevant for the European scientific cooperation, in particular in the context of a specific position of translational states from Eastern, South-Eastern and Central Europe within this framework. The introductory presentation entitled Transitional countries within European Area; International cooperation and principles of Magna Charta Universitatum has been given by Prof. Aleksa Bjeliš, former member of the Council. The second part of the half-day programme has been organized as the panel devoted to the mentioned issues. Since Belarus is one of the countries actually passing through the initial stage of the integration into European Higher Education and Research Areas, the vivid discussion at the panel tackled mostly problems related to the actual state of higher education and research and development policies, stressing out the necessity to intensify efforts in achieving the level of quality and productivity necessary for the efficient participation in the competitive actions within Horizon 2020 programmes, particularly those in which Belarus is already included as a partner or third country, like European Research Council, Marie Skłodowska-Curie actions, and Future and Emerging Technologies. 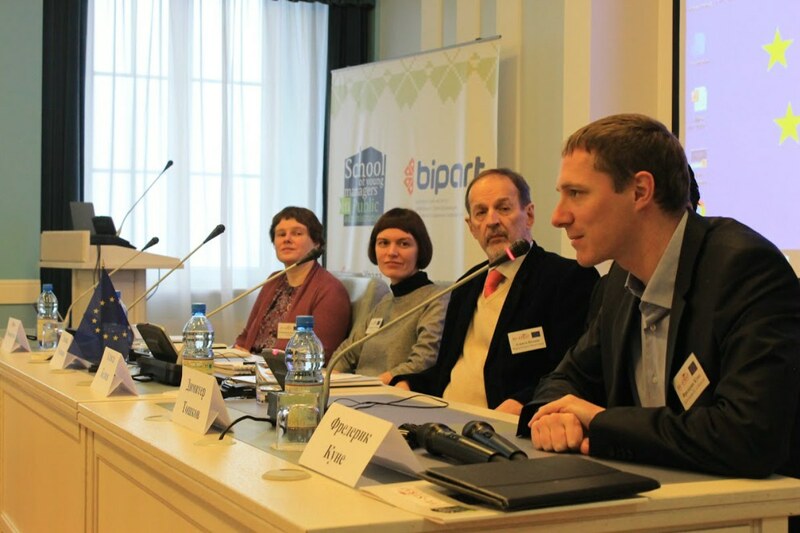 In spite of the initial relatively encouraging indicators for Belarus, the participants of the panel mainly invoked open problems and challenges which have to be confronted and resolved within the future national policy, as well as through the steps towards the reform of universities and other research institutions. In this context it was recognized that the principles of Magna Charta Universitatum, particularly those on the university autonomy and the freedom of critical thinking, should have decisive importance in the future organization of the national higher education and research system. The ultimate goal of this process should be the prosperous development of transitional countries, very probably with a more polycentric orientation which would fully activate already present resources and capacities towards their coherent inclusion into the European and global scene.